Oil pulling is an ancient Ayurvedic remedy that has been used to help prevent cavities and tooth decay, improve breath, and fight bacteria of the mouth, teeth, gums and throat. Oil pulling requires using a high quality, organic, cold pressed virgin oil such as sesame, sunflower or coconut oil and swishing it around in the mouth for 10-15 minutes. In the first few minutes, the oils mix with saliva creating a thin, white liquid then, the fats in the oil begin to pull toxins from the saliva. As you continue swishing, the oil absorbs toxins and turns into a thick, white liquid. When it reaches this stage, spit out the oil- you don’t want to swish too much longer past this stage as you don’t want the toxins to be reabsorbed. Rinse out your mouth with warm water and brush with a fluoride free toothpaste. Multiple studies have shown the efficacy of oil pulling including helping to reduce gingivitis, mouth bacteria and funguses, halitosis, cavities and dental decay. Scientists believe that oil pulling is effective because the lipids stop bacteria from sticking to the walls of the oral cavity and the mechanical action of swishing helps to emulsify and breakdown bacteria. The active ingredients in sesame oil are the antioxidants sesamolin and sesamin, which have anti-fungal and anti-bacterial properties. Sesame oil also contains a rich source of Vitamin E and polyunsaturated fatty acids. 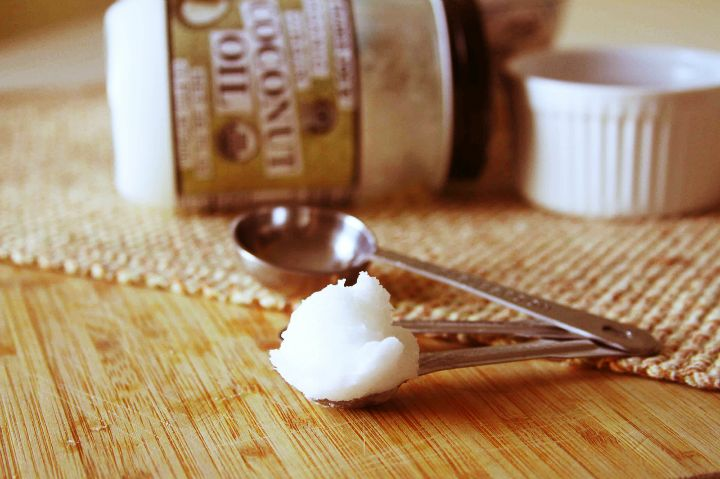 Coconut oil is also anti-bacterial and anti fungal and contains medium chain fatty acids. While both are effective, most find coconut oil more pleasant tasting. Besides helping to protect oral health, oil pulling has also been shown to strengthen the gums and jaw, improve jaw tension or TMJ, relieve migraines, correct hormonal imbalances, reduce inflammation and can even help detoxify the body of heavy metals. Thinking of giving it a shot? Oil pull every day for 40 days and you will begin to notice a cleaner, whiter and fresher mouth. If you are finding it too difficult to swish for 15 minutes you may be swishing too hard, oil pulling is just as effective using soft, gentle movements. Also, make sure you spit your oil out in the trash, not down the sink as it can clog drains. Feel free to share your suggestions or experience in the comment section below!